Crepes are so easy to make and so versatile, they are an essential addition to the recipe box of any beginner cook. In fact, they are so easy, you might not have to write the recipe down! These crepes have no sweeteners, so they can be used for breakfast, lunch, dinner or dessert whether you want a little something sweet or savory. I like to spread them with peanut butter and wrap around a banana for a breakfast I can walk out the door with. You can top them with ham and cheese for lunch if you don’t have any bread in the house. The Italian dish Manicotti is made by filling crepes with a tomato, spinach and ricotta cheese mixture. Or for a sweet treat, top with strawberries and syrup for dessert. 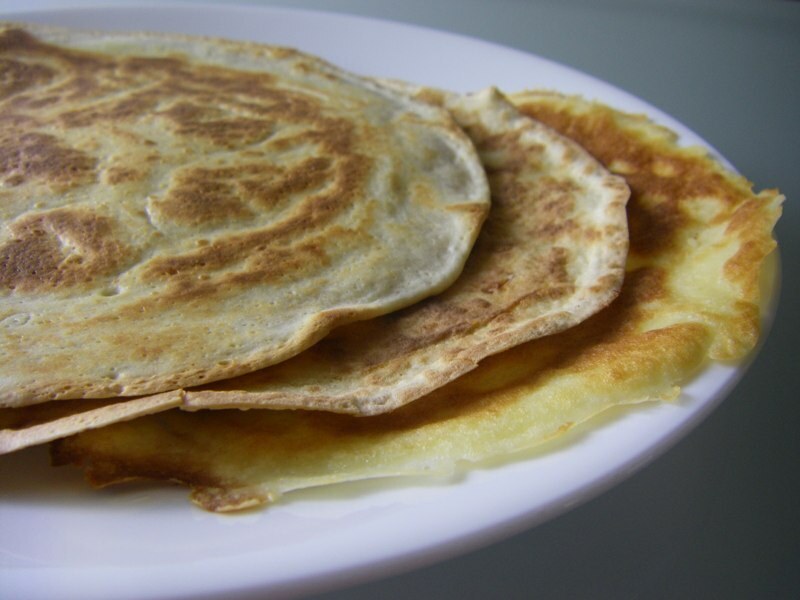 Crepes are also ideal for individuals who are cooking for themselves because the basic recipe makes 3 plate – sized crepes, perfect for one person, just multiply the basic amounts if you want to make more! Tiny dab of butter for frying (less than a teaspoon). 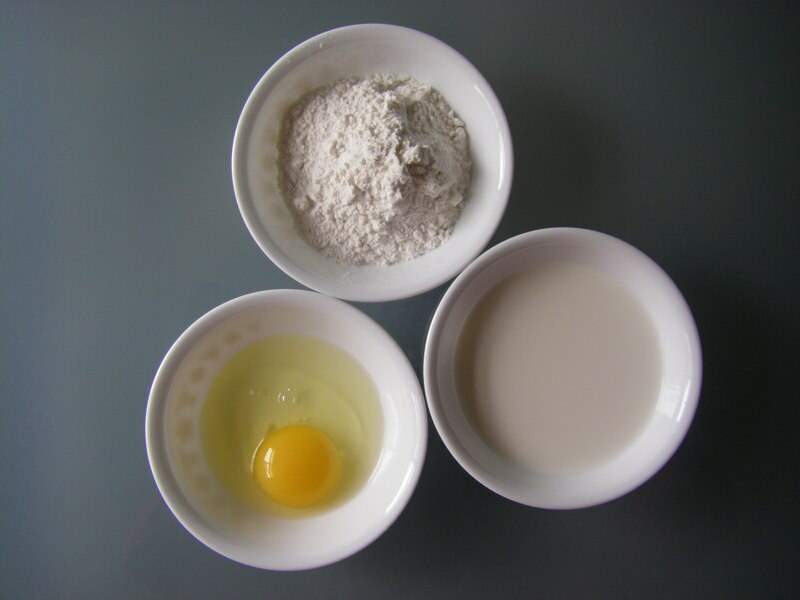 Beat your egg and milk together with a fork, then beat in the flour until smooth. It doesn’t have to be perfect. 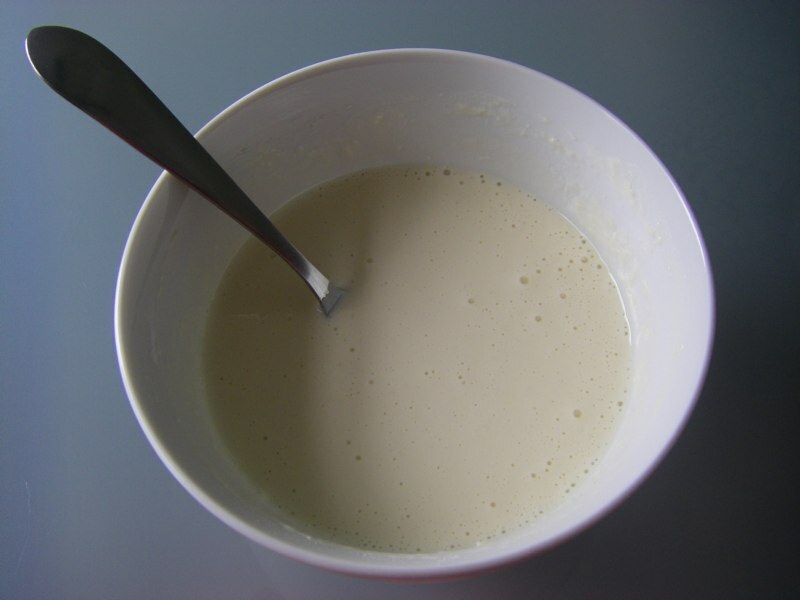 Add another teaspoon of milk if the batter seems too thick like pancake batter. The batter should be quite liquidy so it can be poured out nice and thin into the frying pan. Heat up your frying pan on medium. After a few minutes, add a tiny little dab of butter and let it melt (but don’t let it burn, that’s why we don’t add it to the pan right away). You should end up with about 1 1/2 cups of batter. 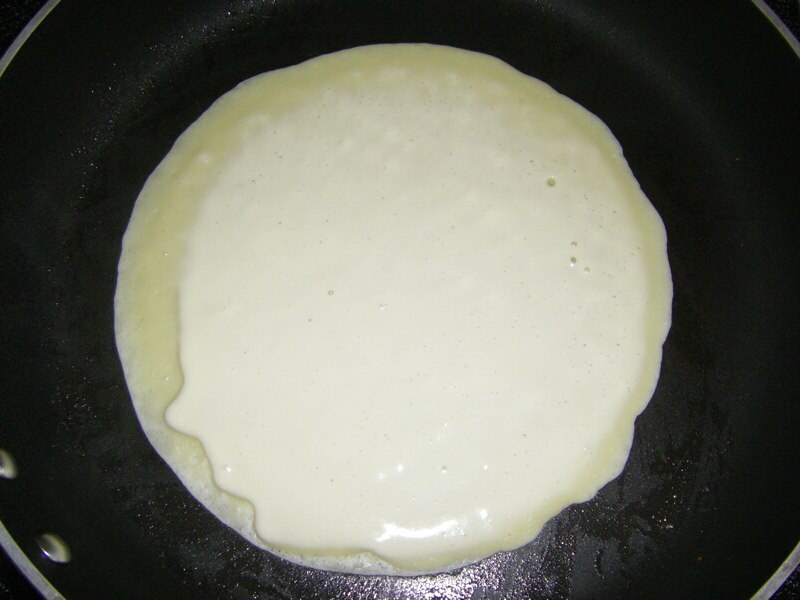 Pour about 1/2 a cup of the batter into your frying pan and quickly tilt your frying pan in a circle a few times to spread the batter out into the largest circle possible. 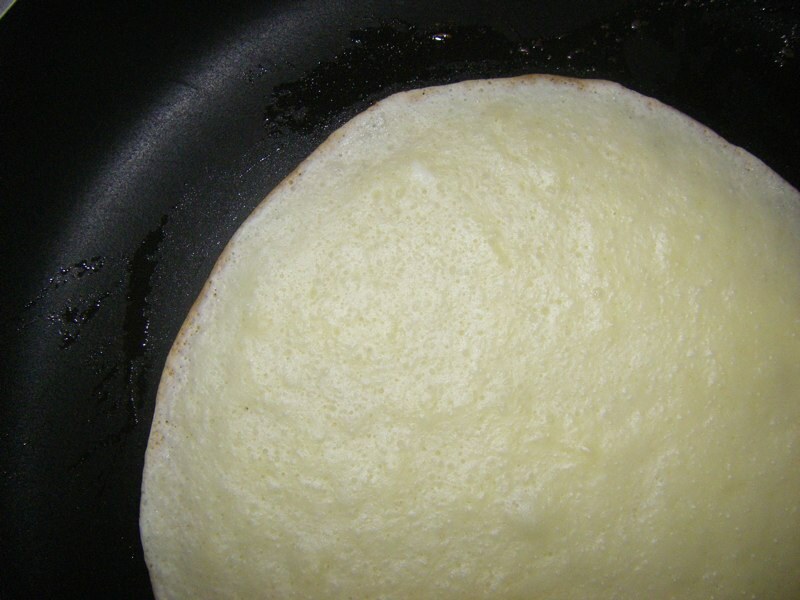 You should be able to make your crepe about the size of a plate if you roll the pan around quickly enough. The crepes only take about 2 or 3 minutes to cook on the bottom. Don’t flip the crepes to check! Just look at the edges and as soon as you see them start to brown like in the photo below, they are ready on the bottom. Now flip the crepe and cook for another 1 or 2 minutes on the other side. Done! Top or roll with absolutely anything you wish. 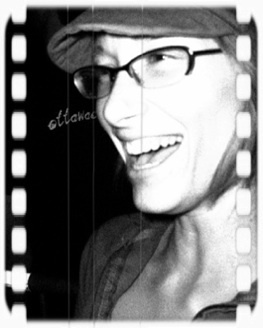 Let your imagination do the rest! Quick enough for anytime, fancy enough for special times. Jump up.